Well folks, it’s that time again! Time to look forward to a fresh start as we see what this year has in store for us. 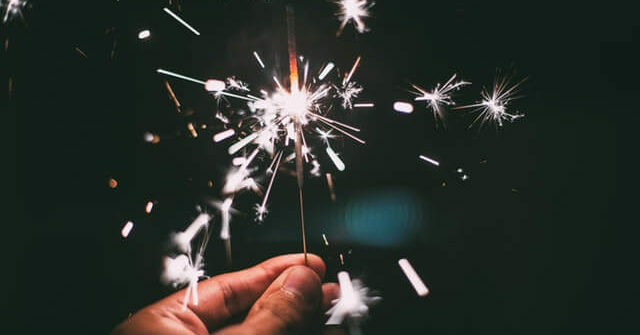 As we say goodbye to 2018 and say hello to 2019, keep these mindfulness exercises in mind if you want this year to be even better than the last. Meditation is one of the simplest exercises that you can practice in your spare time. It can last as long as you like, so whatever fits into your schedule. I like to take some time each month to sit and meditate on things that happened that month. I start by concentrating on my breathing, then let my thoughts come while I observe them. Then I focus on the challenges that I faced that month—it can be anything from work trouble to family disagreements to feelings of discontent—and one by one let each problem go. After meditating and letting go of stress and worry, it can be helpful to try the second of our mindfulness exercises: come up with a mantra to use as a focus for future challenges. Once you have created one and associated it with the peaceful feeling of letting go, you can use it to re-center yourself during stressful occasions. Your mantra can be anything. I’ve had some people tell me theirs, things like “I am at peace,” or “I am a solid rock.” It’s important to come up with your own so that you can associate a clear headspace with it. It might be cliché to say that a messy desk reflects a messy mind, but that doesn’t make it any less true. Another of my mindfulness exercises that you can use involves doing a bit of house cleaning. But don’t think of this as a chore. You really have to focus on what you are doing, whether it’s putting that laundry pile away or doing the dishes. It’s critical when you practice this technique to make a ritual out of decluttering your space. Writing has helped me find myself in many instances. The great thing about writing is that it forces you to focus on your thoughts and immediately let them go as you put them onto paper. If you can find the time, writing at least once a week can help you reflect on what you’ve accomplished and what you have yet to finish. It keeps you accountable and can teach you many lessons if you let it. Here’s what I like to do: use the weekend to reflect on your week. Write down all the important events that occurred. After a month passes, go back and read your entries. Ask yourself what lessons you have learned from any mistakes or accomplishments. If you want to take it one step further, reflect on each month’s lessons at the end of the year and commit them to memory so that you can use them the next time you need them. If you are ready to take the next step toward becoming the best you possible, sign up for a free coaching session today. Need more helpful tips? Sign up for my monthly newsletter by entering your information into the form on my home page.